The gap between the center and side electrodes of a spark plug must be an exact distance; otherwise, your plugs don’t fire efficiently. 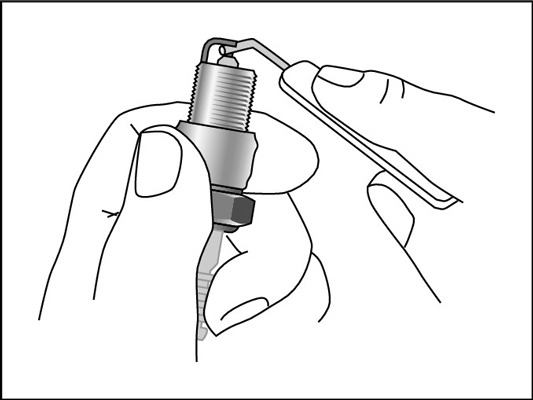 Adjusting the distance between the two electrodes is called gapping your spark plugs. 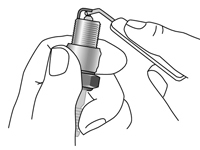 You need a feeler gauge to gap your spark plugs properly. Gap new as well as old spark plugs, even if the package says that the new plugs are “pre-gapped.” To avoid problems, work on only one plug at a time, in cylinder sequence order. If you’re regapping a used plug, make sure that it’s clean (gently scrub it with a wire brush). If you’re using a new plug, it should be clean and new-looking, with the tip of the side electrode centered over the center electrode. You shouldn’t see any cracks or bubbles in the porcelain insulator, and the threads should be unbroken. 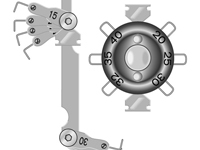 2Select the proper number on your feeler gauge, and run the gauge between the electrodes. To find the right gauge, look for a spec sheet for your automobile in the owner’s manual, or you can get the information from a local auto parts store. If the gauge doesn’t go through, or if it goes through too easily without touching the electrodes, you need to adjust the distance between the electrodes. 3Adjust the gap as necessary. If the wire didn’t go through, the gap is too narrow. Hook the part of the feeler gauge that’s used for bending electrodes under the side electrode and tug very gently to widen the gap. 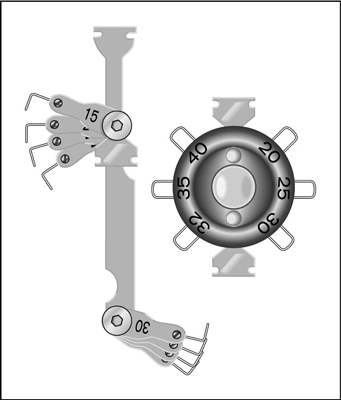 A feeler gauge is shown here. If the gauge goes through too easily without touching the electrodes, the gap is wide. Press the side electrode very gently against a clean, mar-proof surface until it’s slightly bent down toward the center electrode. 4Run the gauge through the gap again. You want the gauge to go through fairly easily, just catching the electrodes as it passes. If you keep adjusting the gap too narrow or too wide, don’t feel bad. Most people go through the too large–too small–too large bit a couple of times for each plug, especially the perfectionists.